Sometimes a mass murderer goes undetected by everyone around them. Maybe a paranoid rant to a drinking buddy or an off-hand comment to a co-worker is all that hints at the violent impulses inside. 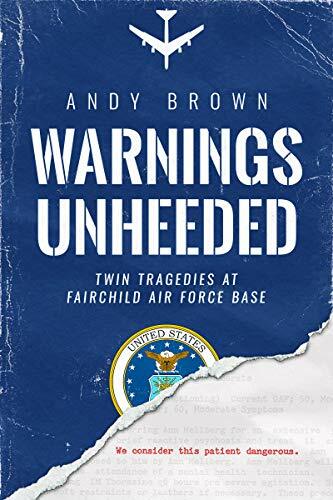 The book Warnings Unheeded by Andy Brown (pictured above) is about the opposite: two men whose madness and violence went unchecked until it was far too late. 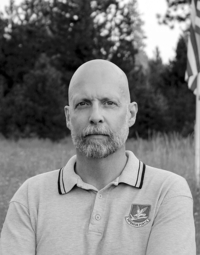 During the interview with Dan, author and former military policeman Andy Brown speaks in the third person of the slide into mass murder that was the life of Dean Mellberg. But the narrative shifts as Mr. Brown recounts the actions he took to end the rampage of the lone gunman. Indeed, it was the author who fired the pistol which stopped the carnage by ending the life of the madman. Four days after the killing spree of Mellberg, a hubris-filled tragedy occurred. Pilot Lieutenant Colonel “Bud” Holland flew a B52 Stratofortress into the ground during practice for an upcoming air show. The plane was filled with senior officers in part because other flight crews were afraid of the increasingly risky antics of Holland. Many family members were watching as Holland could no longer control the hulking airplane during a risky maneuver which then fell instantly into a massive fireball incinerating everyone on board. There was a feeling the air show would bring about normalcy and relief after the Mellberg killings, but instead it brought more heartbreak.